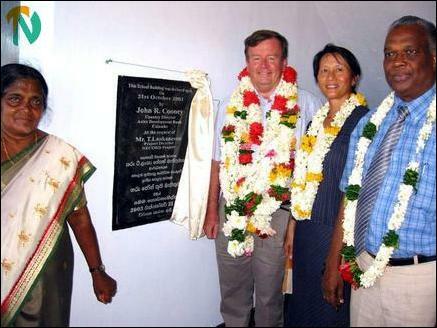 The Country Director of the Asian Development Bank (ADB) Mr.John R. Cooney Tuesday evening declared open a two-storied block at the Chinabay Nalanda College in Trincomalee, which had been constructed at a cost of about four million rupees under the ADB funded North East Community Restoration Development (NECORD) project. 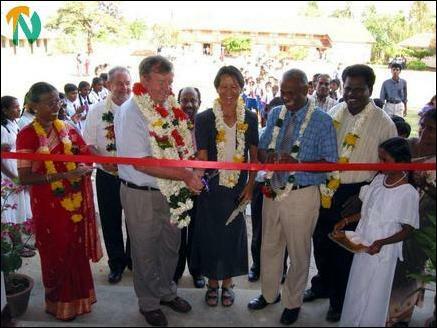 Later addressing a gathering of students, teachers and parents of the Sinhala community, Mr. Cooney said, "We would like to see the Government of Sri Lanka and the Liberation Tigers of Tamil Eelam come together for peace talks that could permanently remove the shadow of war from this beautiful country." The ADB and other international aid agencies have pledged about 4500 million rupees to rebuild and develop Sri Lanka, which has been devastated due to two-decade-old war. The fund allocated would be for the entire country but a large portion of the money would go to the rebuilding of the north and eastern province, according to Mr. Cooney. He said that the ADB funded NECORD project spends more money on educational development of the eight districts in the northeastern province, adding that "every child has the right to education." " NECORD is the best project team in the country. We have been working in the country to restore normalcy in the lives of all communities who have suffered in the war. Many more roads, hospitals, school buildings and other developments would be implemented by NECORD in the future," Mr.Cooney said. He appealed to all communities to extend their co-operation to the international effort to bring peace and prosperity to this wonderful island. Project Director Mr.T.Lankaneson said NECORD is very proud today for enhancing education facilities to rural and war-affected students of the province. However, he said, "buildings do not make a good school. 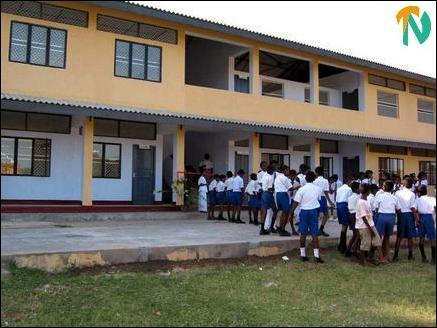 The development of a school depends on good education. Teachers, students and parents could play a vital role in moulding a new generation with good education and moral values that are urgently needed for a healthy nation." Interaction between communities without any differences would give a meaningful development of the country, Mr.Lankaneson said. According to Mr. Lankaneson, the NECORD project, which has dedicated itself for the restoration of normal lives of the people of the northeast province, is the brainchild of ADB Country Director Mr.John R.Cooney. Principal Ms K.Premalatha made the welcome speech. Venerable Dehiowitte Piyatissa Thera delivered the blessing. Trincomalee Deputy Zonal Director Ms. Thevigaranee, NECORD Deputy Director Mr.R., Umakanthan, Additional Director of Education Mr.Wijeysooriya, NECORD GTZ (The German Agwency for Technical Cooperation) team leader Mr. Ingo Guhr were also present at the event. 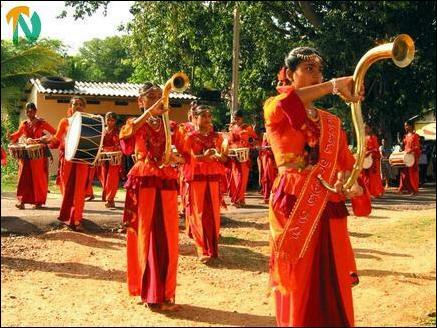 At the commencement of the event, the guests were taken in a procession to the venue with the college music band in attendance and Sinhala traditional dance. Mr and Mrs.Cooney jointly declared open the new building by cutting the ribbon and later unveiled the plaque of the new building.